After Gold and Satyameva Jayate, Akshay Kumar's Mission Mangal and Batla House, featuring John Abraham, are all set for a box office clash as both the films are scheduled to release on August 15, next year. On Tuesday, Akshay Kumar announced his film Mission Mangal's release day on social media and wrote: "A powerful true story of ordinary people with extraordinary dreams, on an unheard of mission to achieve the impossible. Mission Mangal will come alive on 15th August, 2019. See you at the theaters." Both the films will be of totally different genres. Mission Mangal will be a space film, while Batla House is based on the infamous Batla House incident, which took place in 2008. 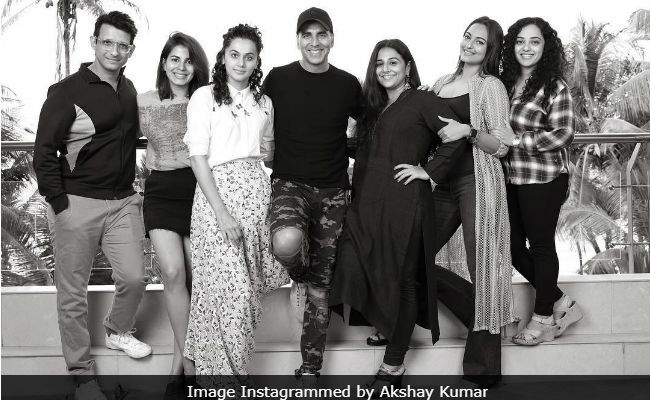 The cast of Mission Mangal will be headlined by Akshay Kumar and it will also feature Vidya Balan, Sonakshi Sinha, Taapsee Pannu, Sharman Joshi, Kirti Kulhari and Nithya Menen. A few days ago, Akshay, who will also co-produce the film, unveiled the cast of the film and wrote: "Proud and excited to bring the story of India's Mars mission, Mission Mangal to you. Coincidentally the mission was launched on this very date, November 5, 2013. Meet the team and do share your best wishes for our shubh mangal journey. Shoot begins soon." Mission Mangal will be directed by Jagan Shakti. Meanwhile, also check put the poster of Batla House, in which John Abraham can be seen dressed as a cop. The film is reportedly based on the infamous Batla House encounter, which took place on September 2008, in Delhi's Jamia Nagar locality. In the encounter, two suspected terrorists were killed. The film will also feature Nora Fatehi and it will be directed by Nikkhil Advani. Speaking about the clash of his film Gold with John's Satyamava Jayate, Akshay had earlier told news agency IANS: "It is true that he (John) is my friend and I have learned that anyone can release their film with other actor's film so, next time, I will also do the same." Well, seems like Akshay clearly stood by his words. When John was asked the same question about the clash of the films at the box office, earlier this year, the Parmanu actor told IANS: "As far as competing with Akshay is concerned, I want to make it clear that he is my senior in the industry. "It's a producer's decision from both sides. It is about Excel Entertainment and T-Series, so I have no say in that at all." Akshay Kumar and John Abraham have co-starred in Bollywood comedies such as the 2005 film Garam Masala and Desi Boyz (2011). The duo were last seen together in Sajid Khan's Housefull 2.